Things didn't go according to plan at a wedding in Scotland one Saturday. A tame owl had been specially trained to carry the wedding rings and land on a perch beside the outside altar. It was supposed to be a wonderfully synchronized event. 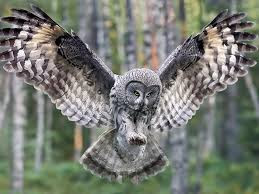 However, the piper began playing just as the owl was signaled to fly. A scared lapwing shot out of the bushes and the owl chased its prey up into a tree. The lapwing escaped but the owl remained perched on a branch. The wedding rings were still attached to its legs! When the psalmist wrote about taking refuge in the shelter of God’s wings, he wasn't literally saying that God had wings. He was using a metaphor to describe his absolute confidence in God’s protection. In the midst of his personal troubles and crisis, he had the utmost faith in God’s guidance and deliverance. Even if all of the psalmist’s plans went haywire, he would be still be assured of God’s grace and love. To me, this is what makes faith so important –it gives us a hope in God that He will not abandon us, and a love from God that can never be extinguished. Dear Lord, thank You for allowing us to take refuge in the shelter of Your wings. Thank You for granting us unlimited grace and everlasting love. In the midst of our problems and worries, we constantly rely upon Your Presence and Guidance. In Jesus’ Name, Amen. Do We Realize Our Blessings? More than half of Nairobi's population lives in the slums. 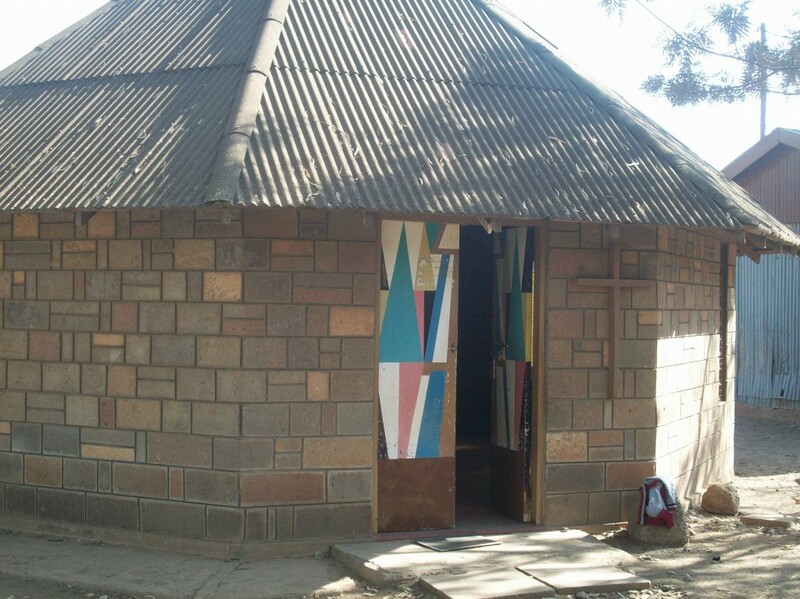 Many of these are homeless, often children, orphaned when their parents succumbed to AIDS. Among these hopeless people however, there are those who are light-bearers, whose motto is: "The thief comes only to steal and kill and destroy; I have come that they may have life, and have it to the full." (John 10:10 NIV) These know where their misery, and the misery of all the other slum dwellers, comes from! They also know Who can bring life "to the full" to these desperate people. These are the ones who follow the Apostle Paul's advice: "So watch your step. Use your head. Make the most of every chance you get. These are desperate times!" (Eph 5:15-16 The Message). They are the light in Kenya, carrying the only hope for these desperate people: "You are the light of the world. A city on a hill cannot be hidden." (Matt 5:14 NIV) They are not afraid to step by mistake into the sewer that runs through the middle of the slums. They are not afraid to be chewed-out for bringing a message of hope. They are not repulsed by the extremely poor living conditions of these people who live on less than 2$ a day. They are not shocked by the disease that affects so many of these people. They are not worried that they might catch something that can be detrimental to their own health. All they care is bringing hope to the desperate. About 30 churches have been planted in those slums. The conditions are far from ideal, but at least they have wooden benches-though not the most sturdy kind-where people can sit. And they have 4 walls to shelter them from the rain and sun, and to minimize street noise. One church among these has begun to build a new building that will seat 5,000. Every seat of their current building is taken during worship, while many stand on the sidelines, as close to the wall as possible, in order to have at least some support for their poor back and legs. These people are not only hungry for God, but He is also their only hope! Everything they have they consider to be a gift from God. Although clean water is a luxury and can hardly be obtained on a daily basis, when they receive a sip of it, they praise the Lord! None of the ones who attend church can remain silent in the streets. They boldly declare that God is good and they freely share the Good News with anyone who pays attention to the gospel of hope. Nothing can stop them! Despite their poor living conditions, they cannot suppress the urgency that they have to share with their neighbors the message of the Good News, the One who is living in them, the One who makes them joyful. Their passion is for God! Are we westerners as thankful for the water that is freely flowing in our country? Do we realize the blessings bestowed on us for the daily food we receive? For the sturdy shelter we have? For the freedom of worship? Why are many of our churches so empty? Why are so many of us walking with long faces all the time? Why have we become experts in complaining, in grumbling, in worrying? And why are we so afraid to share the One who lives in us, the One who is the sole hope to all of humanity? Does He really live in us or have we replaced Him with the worries and attractions of this world? Is it possible that we have lost our smile because we have lost our bearing on our way to heaven? Is it possible that we have become estranged with the One who gives us boldness? Dear people of Kenya, thank you for teaching us to be thankful and to smile at all times! No matter what our circumstances, God is indeed with us! "Be careful for the sewer you are heading for!" Dear Lord, we pray that our focus would be to bring hope in this world. Help our eyes always be open to how we can help others. In Jesus’ Name, Amen. For I know the plans I have for you," declares the LORD, "plans to prosper you and not to harm you, plans to give you hope and a future. Then you will call upon me and come and pray to me, and I will listen to you. The school system in a large city had a program to help children keep up with their schoolwork during stays in the city's hospitals. One day a teacher who was assigned to the program received a routine call asking her to visit a particular child. She took the child's name and room number and talked briefly with the child's regular class teacher. "We're studying nouns and adverbs in his class now," the teacher said, "and I'd be grateful if you could help him understand them so he doesn't fall too far behind." The hospital program teacher went to see the boy that afternoon. No one had mentioned to her that the boy had been badly burned and was in great pain. Upset at the sight of the boy, she stammered as she told him, 'I've been sent by your school to help you with nouns and adverbs." When she left she felt she hadn't accomplished much. But the next day, a nurse asked her, "What did you DO to that boy?" The teacher felt she must have done something wrong and began to apologize. "No, no," said the nurse. "You don't know what I mean. We've been worried about that little boy, but ever since yesterday, his whole attitude has changed. He's fighting back, responding to treatment. It's as though he's decided to LIVE!" What made the difference in this little boy? In a word, "HOPE!" Feeling hopeless and helpless in his badly burned and painful condition, he found HOPE in the presence of the teacher. What a lesson for US. . .
Due to our sin, WE are also hopeless and helpless! There is nothing that you and I can do in our own power to improve our condition. "The wages of sin is death" (Romans 6:23), and that leaves us with... NO HOPE, for "ALL have sinned and fall short of the glory of God" (Romans 3:23). But then the Teacher, Jesus Christ, came into this world to open a pathway back from sin's dark grip of DEATH. He demonstrated the reality of LIFE beyond the grave by His OWN resurrection from the dead and revealed the WAY to that LIFE giving us HOPE! He said, "I am the Way, the Truth, and the Life, no one comes to the Father except through Me" (John 14:6). We have HOPE because. . . Jesus died on the cross to pay for our sins making our forgiveness available. We access that HOPE by. . . Believing in Him (Acts 16:30-31), repenting of our sins (Acts 17:30-31), confessing Jesus before men (Romans 10:9-10), being baptized (immersed) for the forgiveness of sins (Acts 2:38), and then following Him faithfully (Revelation 2:10). With the HOPE that Jesus gives, WE have a new lease on LIFE! Dear Lord, We thank You that we can put our complete trust in You and because if that we have hope. In Jesus’ Name, Amen. Israel was facing impossible odds: 900 iron chariots against men on foot (See Judges 4:3), experienced warriors against 2 women with no experience at all in warfare. In now-a-days terms we could compare this to indigenous people from the Amazon coming up against modern tanks, machine guns, airplane bombers, etc., with a simple bow and arrow. There was no way Israel could win, and even less with inexperienced women leading the attack! When Deborah gave the order (verse 6), doubt naturally arose (verse 8). Even though she had never fought before, she lead the way. She knew without a doubt that with God on her side, she truly had nothing to fear! Unfortunately however, the commander in chief, Sisera, archenemy of Israel, succeeded in escaping. Still there was no need to worry: God was STILL in charge! Sisera fled to a nearby tent, where Jael (The 2nd woman in our story), wife of Heber the Kenite, supposedly an ally of Sisera's army, was there to greet him. (See verse 17). Without hesitation she led him inside her tent and covered him up. A strange way to hide from your enemy, don't you think! But then when the tide turns against us, we, too, act irrationally! Now Jael only had a tent peg and a hammer with which to protect herself. What could she do with these? But Jael knew what to do with them, and she used these two useless items to defeat the enemy of Israel (See verse 21). Who would have thought that a mighty warrior could be brought down by a tent peg and a hammer! But then, with God nothing is impossible! In more recent history, the Allies were facing impossible odds as well. The Germans had built a long wall, called the Atlantic wall, that stretched from Norway to the French-Spanish border, and there they entrenched bunkers, heavy batteries, landmines, and a myriad of other destructive devices. They were literally impenetrable. On August 1942, more than 6100 troops, consisting of 4,963 Canadians, 1,005 British commandos, 50 US rangers and 15 Frenchmen landed on the beaches of Dieppe, France. Only too late did they realize that the Atlantic wall was truly impenetrable. A total of 3,369 men were killed or wounded and 1,946 were taken prisoner. The war started to look grimmer and grimmer. Did the Allies ever abandon all hope? Never! On June 6, 1944, two years later, the Allies attacked the enemy on the beaches of Normandy. The Germans expected the ally invasion to happen, and they were watching. They surmised that the allies would attack on a clear sunny day, during the daytime, and at high tide, and all of their warmonger traps were set for a high tide invasion. These became useless the day the allies came in, in the fog, at low tide, really early in the morning. The Nazis didn't realize they were there until they were too close for comfort. They quickly tried to reach their Fuhrer for directions, but he was fast asleep, and due to his extravagant temper, no one dared wake him up. And the rest is history! We may be facing unimaginable odds, but if we rely on God, we will truly have nothing to fear. Those iron chariots or German booby traps, as well as all the other warmongers from hell, are nothing compared to the power of God! Doubt will lead to utter defeat as well as depression, but faith will lead us to victory. Dear Lord, We pray today that we would trust You and let You guide us in all things. In Jesus’ Name, Amen. 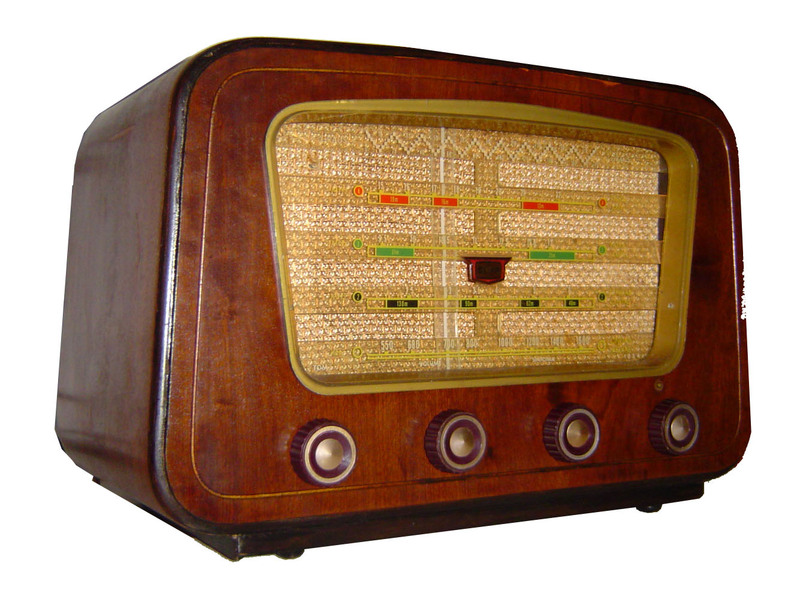 During World War II, the island of Jersey, along with other Nazi-occupied territories, relied heavily on the radio. Neither the local press nor the Red Cross messaging service were reliable, due to heavy censorship, therefore the radio was their only link to the outside world. On June 8, 1942, the islanders of Jersey were horrified when they heard the order from the Feldkommandantur that all radios were to be confiscated for "security reasons". Many islanders decided to hide their radio, as they considered it their only source of hope to freedom. The Nazis didn't take to this "insubordination" too kindly, however. They continually searched for these illegal devices, and anyone caught would face terrible consequences. Take, for example, Canon Clifford Cohu, rector of St. Savior's church and chaplain at the General Hospital. He couldn't stop himself from openly spreading the hope announced on his radio with his parishioners and patients. He was arrested and sent to a "work education camp" in Germany, where he was subject to continuously beatings and starvation. He never lost hope, however. It was engraved in his heart, even though he died weighing less than 98 pounds. Many others fared the same consequences, all because they had hidden their radios, their only source of hope. God's rod stands for God's discipline, as illustrated in Psalms 89:32a: "I will punish their sin with the rod . . ." We welcome this discipline, for it proves that God truly loves us and wants what is best for us. Who else would discipline us? Would we ever learn otherwise? God's staff stands for guidance, as mentioned in Micah 7:14a: "Shepherd your people with your staff, the flock of your inheritance"
Why do these give us such comfort? They give us hope amidst our adversities, as they are proof that God stands with us and for us. It confirms that "The LORD is my shepherd, I lack nothing." (Ps 23:1, NIV) We truly lack nothing! With such a hope we can face anything, even the valley of death, as long as we focus on this hope. Hope, after all, is catchy, and we can't help but share the hope that sustains us at all times with others, just like Canon Clifford Cohu, unfazed by what the consequences might be. Only those who have such hope can do this. We truly have nothing to fear when we rely completely on our Heavenly Father! Dear Lord, thank you that no matter what we face in live we can completely rely upon You. Thank You that we can place our hpe in You. In Jesus’ Name, Amen. Time after time, he would tell a story about his childhood. It was the morning of his tenth birthday. All year long, he had been waiting for this day to come. He had asked for a special gift from his parents when he had just turned nine and for three hundred and sixty-five, he had patiently hoped his request would be answered. As he opened his eyes and sat up in bed, he saw a wonderful thing, which captivated his heart with a lifelong joy. 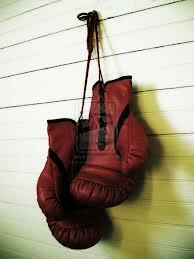 Hanging on the side of his bedside table was a pair of boxing gloves. "I felt as though I was the luckiest boy alive," said Bill, six decades later. His eyes were still filled with joy and his face glowed with pride. A childhood dream had been fulfilled. A parent's promise to a little child had been kept and he basked in that gladness for the rest of his days. Dear Lord, help us to share Your wonderful joy with all whom we meet and encounter today. In Jesus’ Name, Amen. A fable tells about two birds, each in a cage with food and water. One bird rebelled against his conditions, rejected the food and kept knocking his head against the cage door. A few hours later, he died of his injuries. The other bird said, "Nothing's worth dying that way. Let me enjoy the food and water and be grateful for the little space in which I can fly." At the end of the day, the master came to free both birds. But only one was ready and able to enjoy freedom while the other lost it once and forever. Sometimes our life may seem like we are trapped in a cage. Closed doors might be health problems, job problems, financial limitations, feeling of rejection and insecurity, marriage problems, inability to meet your life partner, etc. If we focus on the closed door, we will eventually act like the poor bird. But if we enjoy our life the way it is granted, we will eventually be freed. In such situations, It is good that one should hope and wait quietly on the Lord. 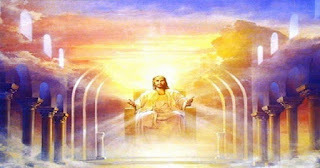 Jesus promised, the gates of Hades shall not be victorious against you. Can, then, the tiny worldly cages be of any obstacle? Never... They do vanish once we put our hope in our Heavenly Father and only Him. Dear Lord, we pray that we won’t feel like we are trapped in a cage, but instead count the blessing that You have given to us. In Jesus’ Name, Amen. Not only so, but we ourselves, who have the first fruits of the Spirit, groan inwardly as we wait eagerly for our adoption to sonship, the redemption of our bodies. I came across this sad story last week, a story about a honeymoon disaster. The newlyweds arrived at the hotel in the wee hours with high hopes. They'd reserved a large room with romantic amenities. That's not what they found. Seems the room was pretty skimpy. The tiny room had no view, no flowers, a cramped bathroom and worst of all-no bed. Just a foldout sofa with a lumpy mattress and sagging springs. It was not what they'd hoped for; consequently, neither was the night. The next morning the sore-necked groom stormed down to the manager's desk and ventilated his anger. After listening patiently for a few minutes, the clerk asked, "Did you open the door in your room?" The groom admitted he hadn't. He returned to the suite and opened the door he had thought was a closet. A comfortable bed instead of lumpy sofa. A curtain-framed window rather than a blank wall. A fresh breeze in place of stuffy air. An elaborate restroom, not a tight toilet. But they missed it. How sad. Cramped, cranky, and uncomfortable while comfort was a door away. They missed it because they thought the door was a closet. Why didn't you try? I was asking as I read the story. Get curious. Check it out. Give it a shot. Take a look. Why did you just assume the door led nowhere? Good question. Not just for the couple but for everyone. Not for the pair who thought the room was all there was, but for all who feel cramped and packed in the waiting room called earth. It's not what we'd hoped. It may have its moments, but it is simply not what we think it should be. Something inside of us groans for more. Groan. That's the word. An inward angst. The echo from the cavern of the heart. The sigh of the soul that says the world is out of joint. Awry. Misspelled. Limping. Something is wrong. Reach out and open that door that God has waiting for each of us today. And while you are at it share that room with those He brings to you today. Dear Lord, we thank You that this Earth is just a waiting room and what You have for us is far more then we can ever hope for. In Jesus’ Name, Amen. For my birthday a few years back my son fostered an elephant from the David Sheldrick Wildlife Trust in my name for a year. Throughout the year I got updates and learned all about my elephant Sities. 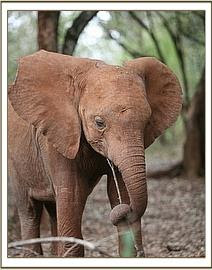 March 26, 2009: Tassia was only 9 months when he was found, very weak and thin, wandering around alone. He had been an innocent bystander as poachers had killed his mother for her ivory. Now he was doomed to die, alone and desperate. April 17, 2009: Bhaawa,a five month old baby, was found in despair, bogged down in the mud of a drying waterhole in the Kirisia Hills near Maralal in Northern Kenya. He was suffering from shock and grief. Were it not for the Sheldrick Wildlife Trust, these orphan elephants would have died. Sheldrick began doing these kinds of rescue missions in 1952, and not only did he rescue orphan elephants, but orphan rhinoceros as well. Though he passed away in 1977, his wife continued his dream, and as a result, more than 100 elephant orphans, as well as numerous rhino orphans, have been saved. All of these elephants and rhinos were raised by the Trust and gradually rehabilitated back to communities in Tsavo National Park. To a baby elephant, his mother and extended family are of utmost importance. Without them he is completely lost and vulnerable, both physically, and psychologically. When an elephant baby is found alone, these ties have to somehow be re-established through humans. Elephant keepers remain with these orphan babies 24 hours a day, travelling as a group during the day, and sleeping next to them at night. Different keepers sleep with different cubs every night, so that strong attachments to one person can be prevented. As elephants are highly tactile and sociable animals, great care is given to shower them with love and acceptance. Initially, feeding is a 24 hour job, but bit by bit the elephant babies are weaned onto a 3 hour feeding routine. When they reach one year of age, they are transferred to Tsavo National Park and absorbed back into older elephant families. In this way, they can begin their gradual integration back into the wild. This transition is made easier by the fact that elephants are highly sociable and that they are automatically fond of their young. Elephants also have a remarkable memory. They are often able to recognize people who cared for them, even after more than 37 years. This happened to Eleanor, age 42, when she recognized the one who had been her keeper when she was just 5 years old! None of these elephants would have ever been able to survive if it hadn't been for these keepers who devoted their life in saving them. I am sure if elephants could applaud, they sure would cheer their human rescuers! Hurray! All we need to do to have such a wonderful gift is to stop running away from God! We need to accept His offer. We need to welcome Him, as well as His adoption, into our lives. Unlike my foster elephant that lasted a year God adopts us forever. Dear Lord, thank you for rescuing use when we were totally lost and desperate! Thank you for bringing us home and allowing us to experience your out-of-this-world love. In Jesus’ Name, Amen. blessed are their children after them. so is their conduct really pure and upright? At local newspaper machine there was a middle-aged lady. 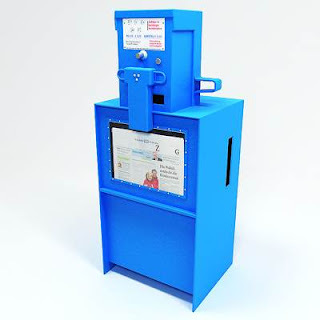 She had a handful of quarters and was slowly buying paper after paper gently closing the machine after each purchase. She smiled as she explained that her daughter’s picture was in the paper to those around. She was getting copies for all the members of her extended family. When she turned to leave people noticed a hole in her shoe and realized that the rest of her clothes had also seen better days. She climbed into her rusty, 20 year old pick-up truck and after 30 seconds of trying finally got it started. She smiled again and waved as she drove off. She could have taken the extra papers she needed while only paying for one. But she didn't She turned out to be one of the richest people in the world. I only wish that everyone in this world had this lady’s wisdom and wealth. She was rich beyond measure in all the important things in life. She was rich in honesty, integrity, goodness, kindness, cheerfulness, joy, and love. She was rich in family and in friends. She was rich most of all in oneness with God. It didn't matter if her truck was old, her clothes were worn, and her dollars were few. She was rich in her heart and soul, and she possessed within her the wealth of an entire Kingdom: the Kingdom of Heaven. The next time you find yourself thinking and worrying about money then remember that the real riches in this world can’t be bought. They must be chosen in your heart, created in your soul, and shared in your life. They are the love of God and the joy of living. And the more you give them away the more you receive them back in this life and in the next. Dear Lord, we pray today that we would have honesty, integrity, goodness, kindness, cheerfulness, joy, and love in everything we do. In Jesus’ Name, Amen. The game was played in Wellington, Florida. In it, a seven-year-old first baseman, Tanner Munsey, fielded a ground ball and tried to tag a runner going from first to second base. The umpire, Laura Benson, called the runner out, but young Tanner immediately ran to her side and said, "Ma'am, I didn't tag the runner." Umpire Benson reversed herself, sent the runner to second base, and Tanner's coach gave him the game ball for his honesty. 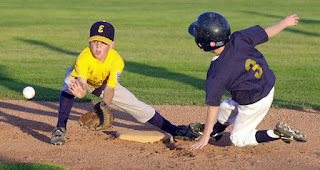 Two weeks later, Laura Benson was again the umpire and Tanner was playing shortstop when a similar play occurred. This time Benson ruled that Tanner had missed the tag on a runner going to third base, and she called the runner safe. Tanner looked at Benson and without saying a word, tossed the ball to the catcher and returned to his position. Benson sensed something was wrong. "Did you tag the runner?" She asked Tanner. Benson then called the runner out. The opposing coaches protested until she explained what had happened two weeks earlier. "If a kid is that honest," she said, "I have to give it to him. This game is supposed to be for kids." Are your words and action honest. When you tell somebody something do they believe you or do they doubt you. Make today the day you are honest no matter what the circumstance. Dear Lord, today we pray that we would be honest no matter what we are doing. Help us be honest in all things. In Jesus’ Name, Amen. "I cannot believe they are not going to honor my bonus agreement," said the executive who was about to take another position in a new city. Her understanding of her present work agreement called for a bonus at the end of the year. Management saw the situation differently. "It's not right. I am entitled to that bonus," she complained. It was time to leave. The company had given her a laptop to use. However, when she left, she decided that because the company was not going to pay her the bonus she was entitled to, she would simply keep the laptop as compensation due her. "And they would never miss it," she reasoned. She was now in the employment of the new company. As each day passed, she grew un easier about her decision. She could not get it off her mind. Finally, she concluded that the Holy Spirit was telling her this decision was wrong and that she needed to call her former boss to confess her action. She called him and confessed what she had done and why she had done it. Her boss accepted her confession and forgave her. Strangely enough, he allowed her to keep the laptop computer. Truth never changes. It is absolute. 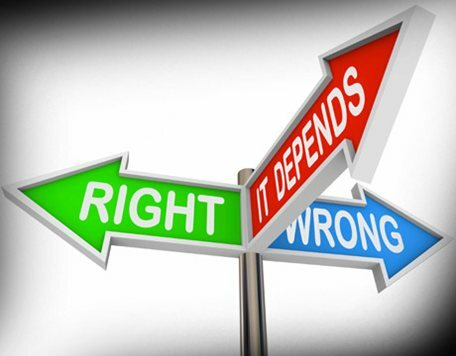 When we make decisions based on other actions that are taken, we move into making decisions based on the situation, not truth and righteousness. The executive may indeed have been wronged, but she had to address the wrong in the appropriate way. Trying to compensate for the wrong by doing something that violates another scriptural principle is called situational ethics. If the employer had never wronged the executive, do you think she would have felt justified in taking the laptop? Probably not. When you isolate the two situations, you see that one action was taken in response to the other action. Have you had any experiences in which you have used situational ethics? The Lord desires His people to have a higher standard, even at the cost of being wronged. Ask the Lord to reveal any business practices that may indicate situational ethics. You might be surprised what will happen when you do the right thing. Dear Lord, we pray that we would make wise decisions. Help those decision be based on Your word and what You want for each of us. In Jesus’ Name, Amen. Do not be afraid of them; the Lord your God himself will fight for you. Pope Pius the Ninth once received a letter very different from the many he received every day. It was written on a plain sheet of paper; there were ink spots on it, crossed out words, and spelling mistakes. A very young boy living in a suburb of Rome had sent it. The boy's mother was ill; he had no money to help her and he asked the Pope for the thirty-seven lire he wanted for medicine. 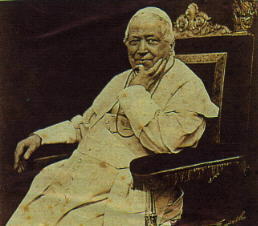 Pius had his secretary reply to the boy, saying that he would receive him at the palace the next morning. On the following day the now happy boy went to the Vatican, presented his letter of audience, and asked that he be taken to see the Pope. The guards were very surprised, looked at the letter and passed it on to an officer to check, and finally let the boy into the palace. The boy's honest and determined look immediately appealed to the Pope, who after a little talk, gave him a gold coin. The boy thanked him then innocently mentioned that it was only twenty-five lire he had received and he wanted thirty-seven. "Of course,' answered the Pope, "you are right, I had forgotten the exact amount you needed." Then he took a second coin from his purse and gave it to the boy. But this is too much now," the boy pointed out, "and I have no change. But I will bring it tomorrow." "That's all right; come and see me again tomorrow," replied the Pope. The boy was very prompt and arrived next morning with the change. This greatly impressed the Pope. In the meantime he had his secretary make some inquiries about the boy and his sick mother. The secretary had reported to the Pope that the boy was truthful and conscientious and that the family was very poor. So when the boy arrived with the change the Pope told him that he would pay for his education and that his mother would be properly cared for during her illness. And so it was done. The boy received a good education and became very successful in all that he did, worthy of the Pope who had helped him. This story is about honesty, not about big things but small things, not asking for too much, only what is necessary. It’s also a story about making a commitment and honoring it. Today, the media abounds with stories of confidence tricksters, about misrepresentation, about dishonesty. Society now expects that we should question every offer of help or kindness in case there is a ‘bottom line’ and we become a victim. One morning 2,000 years ago God made us a great offer. He placed on earth His Son who would live and work among His people. Jesus would not ask too much of us, only that we should honor His name and go and make disciples of all nations, baptizing them in the name of the Father and of the Son and of the Holy Spirit, and teaching them to obey everything He commanded us. And He made a commitment that He would be with us always, to the very end of the age. It is a commitment that He will honor. The dishonesty of many has caused us to become skeptics. But there is no dishonesty about God - He gave His Son to us as a gift, He made an offer of forgiveness and He made a promise of eternal life to those who believe. No matter how society behaves, this is honesty and commitment that we can rely on. Dear Lord, we thank You for the commitment that You will honor to work with us. We thank You that no matter what we are going through you are there. In Jesus’ Name, Amen. 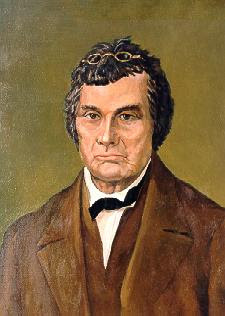 A famous Methodist evangelist named Peter Cartwright was known for his uncompromising preaching. However, one day when the President of the United States, Andrew Jackson, "Old rough and ready," came to Cartwright’s church, the elders warned the Pastor not to offend the President. In those days, the President had great power to influence a denomination for good or bad. Content, that their Pastor would not say anything to discredit their church, the elders retired to the back of the sanctuary. When Cartwright got up to speak, the first words out of his mouth were, "I understand that President Andrew Jackson is here this morning. I have been requested to be very guarded in my remarks. Let me say this: "Andrew Jackson will go to hell if doesn't repent of his sin!" The entire congregation gasped with shock at Cartwright’s boldness. How could this young preacher dare to offend the tough old general in public, they wondered. After the service, everyone wondered how the President would respond to Cartwright. When Andrew Jackson met the preacher at the door he looked at him in the eye and said, "Sir, If I had a regiment of men like you, I could conquer the world!" When we appreciate the power of the word of God and the Holy Spirit speaking from the lips of people with conviction we will make eternal differences. Will you make a difference today? Will you stand with your convictions and conquer the world for Jesus? Dear Lord, we pray today that we would be bold and stand for what we believe. Help us share that with others today. In Jesus’ Name, Amen. Everyone has their own special memories of their Dad, either as a husband, father, brother or a grandfather. To me dad was a family man; one of a team of two with mom. For me and my brothers he was, above all, a gentle, caring and kind father. He was thoughtful and honest…a man of strong principles. Dad enjoyed simple pleasures. A shared smile with mom; a clear night sky; a hug from a daughter-in-law. A bowl of chili, served piping hot, a walk in the wind, hiding Easter eggs for us and his grandchildren, some of these to be found 6 months later, and going to baseball games of his grandchildren. He found it easy to smile and taught us how to appreciate the good things in life. He always had time not matter what was going on. He taught us to share his many interests and passions. His love for God and the love for his wife. Dad knew how to have fun on vacations with his maps, camera and travel books to entertain and best of all gift a day to make the trip more fun. He would check the weather forecast and log the highs and lows for the day. Something I continue to this day. He dearly loved all of our family pets. Indeed, he loved all animals and they seemed to trust and like him. Animals are known, after all, to have a strong instinct for a good person! He was there in times of crisis with a positive outlook, unending patience and ever-willingness to help meant that a solution was never far away. He taught us to think big, and explore new ideas and horizons. His example has set a high standard for me to live up to. His values and principles will continue to lead and guide me. Dear Lord, Thank you, for our fathers who love us, for our grandfathers who care for us, and for God, our heavenly father who made us and is always with us. In Jesus’ Name, Amen. 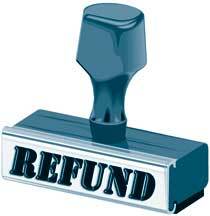 A Double Refund, What Do You Do? but accurate weights find favor with him. but the unfaithful are destroyed by their duplicity. I read a story the other day that is a great example of integrity. The story is told like this. The story begins the day I tried to install a particular internet service on my computer. It didn't take me long to discover that I didn't have the right plug on my PC for the necessary modem, and it was clear that I would have to go with a different internet service. I called the company to inform them that their modem wouldn't work with my system, and I was instructed to wait for the proper shipping labels to arrive in the mail, and then to return their equipment. The labels took a couple of weeks to arrive, but as soon as I had them in hand, I mailed the modem back to the company. Imagine my surprise when I received a bill from this company for two months use of their service! I was a little upset, needless to say, but a phone call cleared it all up, and I put the entire incident out of my mind. One day, months later, I decided to call the bank to find out if my paycheck had arrived. It was a good thing I did, because I was informed that my bank balanced showed a $30.00 overdraft! I knew THAT couldn't be right! Upon further investigation, I discovered that this internet company was charging me for a modem that they claimed was never returned! I was not happy, to say the least, but I remembered how a phone call had corrected the earlier problem, and I called them again. Sure enough, they informed me that they had, indeed, received the modem, and they promised to send me a check that would cover not only what they withdrew from my account, but also the N.S.F. fee. Okay. They were making things right. It was finally over, and I breathed easily again. Until they charge me for the modem a SECOND time!!! This time I was furious. Not even taking the time to think, I picked up the phone, and this time NO ONE at the company doubted my frustration! After all, ENOUGH WAS ENOUGH!! After talking, screaming and crying to one person after another, I finally had to accept their word that I would be refunded at a much later date, and that I wouldn't be charged again. I did finally receive what they owed me, and after depositing it in the bank, I brushed off the entire ordeal. Imagine my astonishment when I then received another check from this internet company, this time for $30.00! Knowing they didn't owe me any more money, I phoned again. I tried to explain the history of my problem to the gentleman on the other end, but though I was speaking calmly, I could tell by his tone of voice that he was preparing for the worst. It took awhile for me to convince him that I wasn't calling to complain, but to report a mistake. When he finally understood, he audibly relaxed. “Thanks for your honesty,” he said as he prepared to hang up the phone. “But I can’t keep the check,” I responded. It took a while, but in the end he seemed to understand my point of view that taking something that doesn't belong to you is stealing, plain and simple. “I can’t believe you called about this,” he said in the end. “It’s nice to get this kind of a call for a change!” Then he put me on hold in order to go and speak with his boss. I was more than happy to tell him, and when I got off the phone, I was rejoicing. All of that craziness, but in the end, not only did I gain $30.00 (which, believe me, was MUCH needed! ), but I also gained a brother in Christ! As we read this story we can see that life always brings us these kinds of situations. Whenever we find ourselves going through something similar, we need to never forget that it’s always for a reason. It may not always be for our gain, though. It could be to give the chance to someone for finding hope through our Lord and Savior, Jesus Christ! Dear Lord, we thank You for all the situations You bring our way. We pray that we would bring honor to You in the way we respond. Help our actions bring others to You. In Jesus’ Name, Amen. What Does Your Character Say About You? 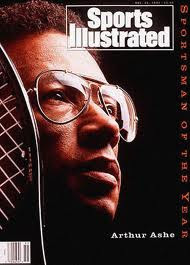 In his autobiography Days of Grace (Random House Audio, 1993), tennis great Arthur Ashe relates a defining incident that occurred when he was 17 years old. He was playing in a tournament in West Virginia. As was often the case, he was the only contestant of color in the tournament. One night, some of the kids trashed a cabin. They absolutely destroyed it and then decided to say that Arthur was responsible. The incident was reported in the newspapers; Arthur denied his involvement, but the boys would not change their story. The worst part for Arthur was worrying about what his father would say and do. He eventually made the dreaded phone call. As he surmised, his father had already learned of the vandalism. His father's tone was grim. He asked Arthur only one question. "Arthur Junior," he asked, "all I want to know is...were you mixed up in that mess?" Arthur answered, "No, Daddy, I wasn't." His father never asked about it again. Arthur learned that day why he had always been encouraged to tell the truth. There would come a time when he must be believed, and this was such a time. Because he had already earned his trust and respect, he knew his father believed him. From that day on he was determined, above all else, to live a life of integrity. Unfortunately, we find notable examples of modern leaders in every field who give low priority to personal integrity. But we do not need saints - we need people like you. People who will be known for their integrity. People who will determine to be their best selves. People who daily earn the trust and respect of others, regardless of their age or station in life. People who insist on the importance of character. Our world does not need another saint. But it needs you. Dear Lord, we pray that we would be people of integrity today. Help us be the best people we can be so those around us can trust us. In Jesus’ Name, Amen. What Cargo Do Others See in You?